Here is a selection of other sites you might find interesting together with those that have supplied me with invaluable help and information in creating F3 History. If you would like your details entered here please let me know, (see Contact page for details). The only supplier of genuine Chevron parts from the original drawings, jigs, body moulds, patterns etc. This purpose of this site is to provide current and past Chevron owners with information regarding the marque..
A growing archive of F3 race results, short seasonal reviews, chassis numbers and individual car histories. Web site dedicated to the German F3 Championship. An incredible database of every German F3 race which has been invaluable in my research. Full details of the new European F3 series. A website for the Australian F3 Championship. All you want to know about the Macau Grand Prix. A new website, currently being developed, featuring the history of the wonderful Rouen circuit. The official web site for the historic championship for 1-litre F3 cars built between 1964 and 1970. With races at circuits such as Spa, Monza and Pau if you own one of these wonderful cars visit here now. An excellent source for reasonably priced second-hand books, magazines, models, programmes, pictures, memorabilia etc. Everything you need to know about 500cc racing. 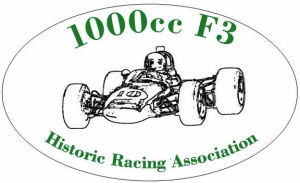 This very informative site covers both the history of 500cc F3 racing as well as promoting the racing of historic and modern 500s. Lots of information here including a comprehesive guide to tracks around the world. F1 results, a history of Le Mans and lots of other interesting items. A website for owners and fans of Braham cars, includes cars and spares for sale or wated as well as all sorts of helpful information. As it says on the site "Our mission is to encourage the preservation and use of Cooper Cars and to keep archive records of their history". View motorsport programmes from all over the world, if you can add to the database please send your contribution in. Another site that has been of great use to F3history. 8W (Who? What? Where? When? Why? on the World Wide Web), probably the most comprehensive guide to F1 racing on the net, fascinating articles, pictures and links. Visit it now! A very helpful Swedish database of F2 racing and the Le Mans 24 Hours created by Stefan Örnerdal. It also covers the Targa Florio and some F3 and F Junior results. An excellent site run by Michael Day dedicated to one of the F1 good guys, lots of pics, stats and write-ups. Another very good site if you are buying a racing car or looking for spares, lots of different marques to be found. A web site primarily dedicated to Sports Car racing, but it is now develpoing a F1 and European Touring Car photo archive so have a look and see if you can help. The website for the German Open and Endurance Cup series. been set up to promote interest in these beautiful little cars. Anyone owning or wishing to own or just having an interest in 1000cc ‘Screamers’ of the 1960’s should visit the site. For the best in Web Design, Multimedia CDs, and all aspects of Promotion including clothing, stationery and branding design. The Racing Car Photos site contains many photos for and by racing and motorsport enthusiasts.